Why Use Murphy's Oil Soap To Wash Your Dog? Sometimes I forget just how intelligent my dog is. 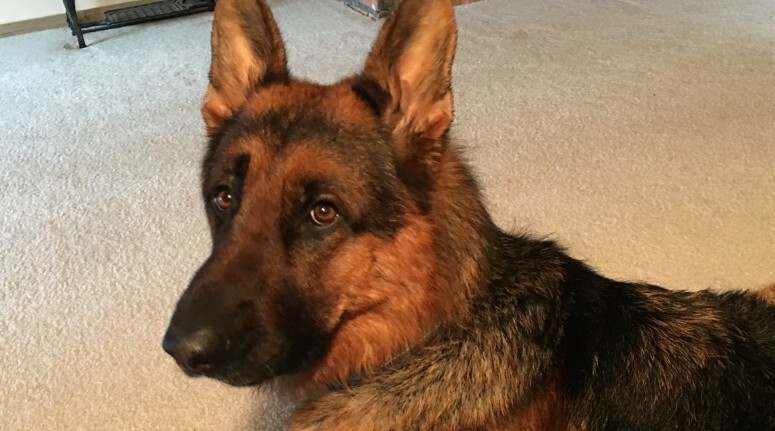 Watson is a happy and playful year-and-a-half-old Shepherd, and a very quick learner. He also has some characteristics… emotional characteristics… that are strikingly human. Today we had a full morning. We went tracking early in the morning; he was loving it and did an amazing job. We followed that up with a walk to a community park that is closed for the winter. Explored, sniffed, pooped, and chased balls until he was exhausted. By the time he was done, he was pretty dirty and his head smelled like fish where I spilled sardine oil on him during tracking. Lovely. So, I bundled him into the car, took him to the grocery store with me and then off to the dog wash. Independent dog wash stations are really great. Especially when you have a “German Shedder” or other type of dog that sheds a lot, it really saves on post bath cleanup. But alas, a bath is a bath, and our dog wash experiences are typically uncomfortable. Not for me, for Watson. Even though he had been up and working early, playing all morning and had a full belly, he was annoyed. (You wouldn’t think that pouting was a common behavior for a male German Shepherd. Maybe he’s spoiled. Could be.) 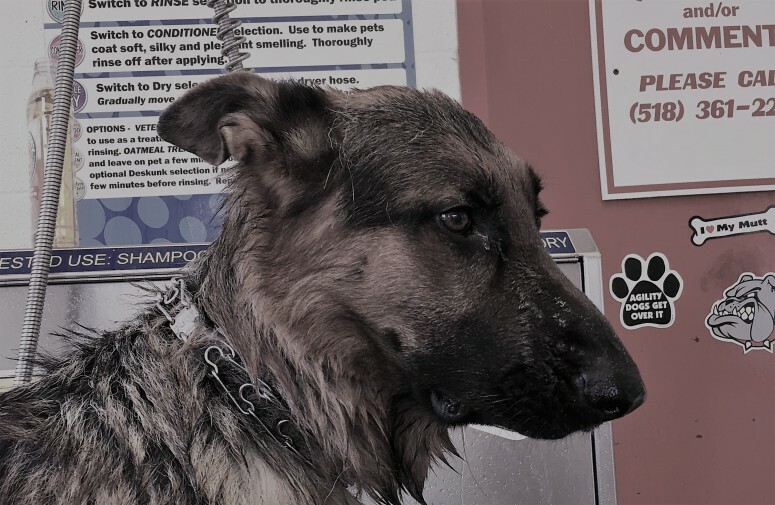 At any rate, he made it a point to let me know this experience was an insult to his canine manhood, and refused to look at me or respond to me at all while he was getting soaped up, scrubbed and rinsed.. I have used Murphy’s Oil Soap to shampoo my dogs for years. It is non-toxic, biodegradable, phosphate-free, U.S. EPA “Design for the Environment” Certified, and is made from 98% naturally derived ingredients. And cheap. I really don’t know what’s in it, and I don’t care, all I know is that it’s safe, it smells amazing, and it makes his coat soft and gorgeous. We have a few small ponds on our property…one of them is a small frog pond that is filled with enormous bullfrogs. It is also filled with rotting organic matter in brackish water, an olfactory and sensory magnet that attracts Watson like flies to honey. So on those occasions when he’s really filthy, I use the Murphy’s Oil Soap to clean him tip to tail. I dilute it in some water and then wet him down with it. It does work up some lather, but not too much, very easy to rinse. I don’t need to worry about washing out his ears with it or wiping down his face. The thing I like best about using the Murphy’s Oil Soap to shampoo my dog is that it leaves his coat shiny and soft, but not stripped of the natural oils. He definitely is no worse for wear! Can Pets Relieve Symptoms of Empty Nest?